OnePlus 5 has officially posted a teaser image of the OnePlus 5, ahead of its launch on June 20th. The bad news is, the device looks exactly like the previously leaked render, which is a clone of the iPhone 7 Plus and the Oppo R11. The OnePlus 5 looks a bit thinner than the Oppo R11, and this can mean only one thing, a smaller battery. We are not sure if the device is water resistant, but it seems unlikely. The question about the high price tag of the OnePlus 5 remains a concern, but to be honest who will buy an Android phone priced similar to the last gen iPhone, which is probably going to get 4 more years of updates, and is a proven performer. 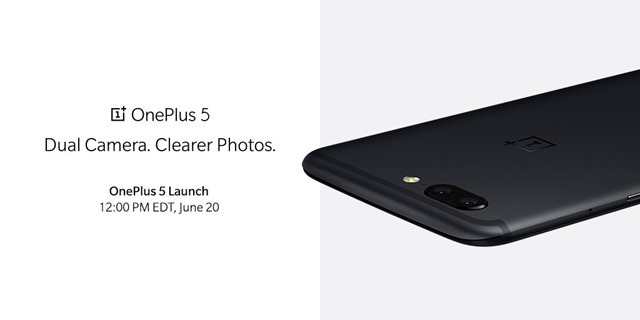 OnePlus’ Carl Pei, had earlier tweeted a message saying the leaked renders of the device were fake, but that was before the official account posted a teaser image for the OnePlus 5. You can never tell when OnePlus is faking news to create hype, so there is that. OnePlus 5 official press render posted on Twitter.